Heirloom wedding albums are an invitation to view. They create a shared sense of connection to the past. Who doesn't like sitting around, all huddled on the couch, telling the stories behind the photos as they flip through the pages? Wedding albums start at 10 spreads (20 pages) with each additional spread (2 pages) costing $30. After your wedding album is printed, it is shipped directly to you if you live out of state. If you live in the Durango area, albums are available for studio pickup. Cameos are available with Leather (all besides Etched Leathers), Linen, Suede and Velvet cover options . Cover text (debossing) is not available on cameo covers. So it will just be an image and no title. Cameos are available with Leather (all besides Etched Leathers) and Linen cover options. Blind debossing is the only debossing option available for Distressed leathers. 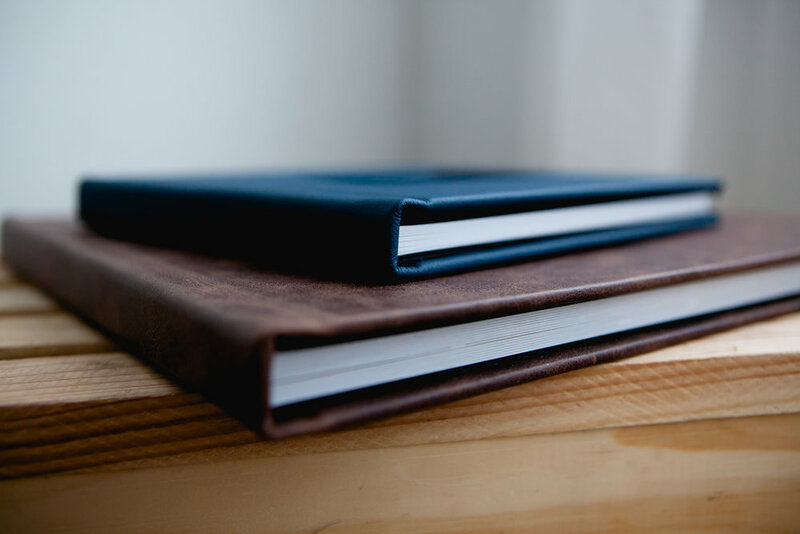 Debossing is unavailable for Cameo covers and Etched leathers. Special characters are not allowed for debossing text. Please submit and you will receive an invoice from Alexi Hubbell Photography. If an album was included in your photo package, you will only be billed for any additional options and add-ons beyond the 20 page, basic album. Optional cover upgrade. $200 will be added to album total. Wedding clients that have prepaid for their wedding album will not be charged for the 12x12"20-page album. 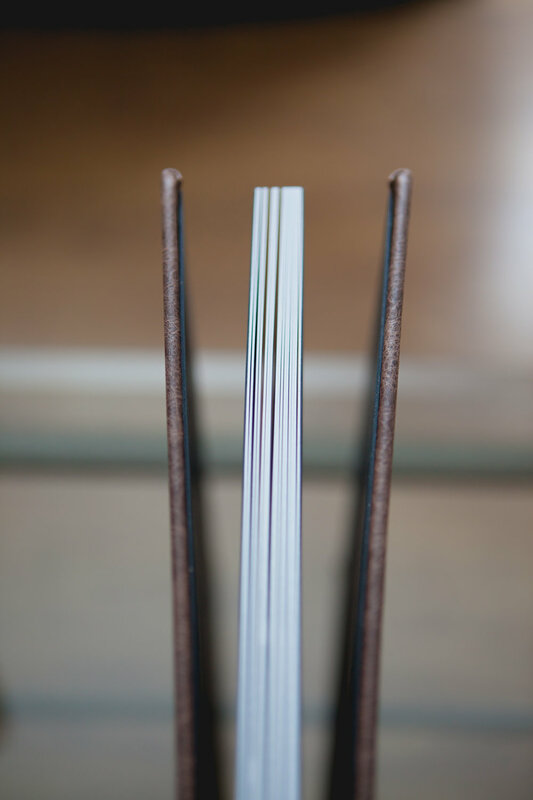 Any additional add-ons beyond this point, including extra pages, cover debossing, and gilding will be billed to the client before the album can be printed. Not required. Note: Cameos are available with Leather (all besides Etched Leathers) Linen, Suede, and Velvet cover options. Debossing(cover text) is not available with Cameo covers. If you would like a cameo cover, where your cover image shows through, please tell us which image(s) you would like as the cover of the album image(s). NOTE: Letter Debossing is not availabe with this option! Thank you! You will receive a copy of your order form and an invoice for any total due.